The mechanics at Aqua Garage Service carry years of experience, and we are more than confident to take on the less-usual vehicles. This recently booked in Bentley Arnage came in for general servicing and repairs. 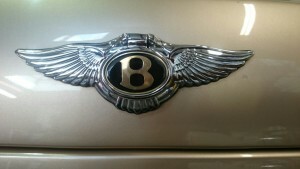 Bentley repairs at Aqua Garage Services. 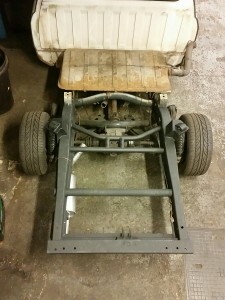 Having restored many vehicles over the years, from Ford Transit, pickup trucks, Mk1 Escorts, Ford Cosworths, Nissan drift cars and Toyota MR2’s, we have the experience, workshop space and the tooling to carry out full vehicle restorations and major chassis repairs on modern or classic vehicles. The Ford Transit must be our staple diet at Aqua Garage Services – we have at least one a week booked in, we know all the variants well and know the common pitfalls. 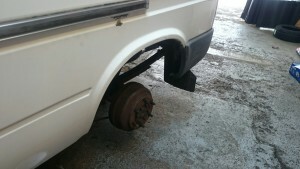 We are forever repairing wheel arches, sills and even carry out major chassis repairs on the trusty Transit. AGS carry out major engine repairs and maintenance. 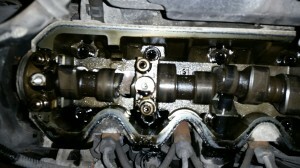 From minor cylinder head overhaul to major engine repairs such as camshaft & crankshaft replacement.